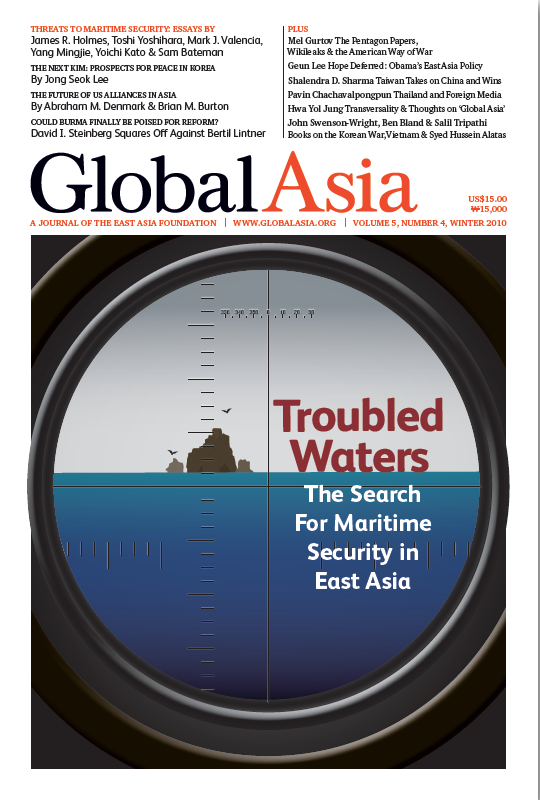 In Summer 2010, we decided to devote the cover stories of Global Asia’s winter edition to maritime security. We did so out of a conviction that it’s necessary from time to time to highlight topics that don’t always grab headlines or take center stage with policy makers, but are nevertheless important to the peace and prosperity of Asia. 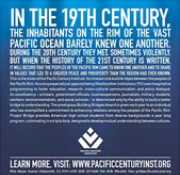 Little did we know that by the time we would be going to press, maritime security in East Asia would have leaped back into focus and underscored how the troubled waters of the region conceal numerous flashpoints of conflict. In September, off the string of rocky, uninhabited islands in the East China Sea called Senkaku by Japan and Diaoyu by China, the Chinese fishing trawler Minjinyu 5179 encountered Japan Coast Guard patrol boats and was ordered to leave territorial waters claimed by Japan — and by China. Instead, the Minjinyu steered at two of the Japanese vessels and collided with them, leading to Japan arresting the Chinese captain. Beijing’s reaction was fierce, and he was released after 10 days. But the diplomatic firestorm roiled nationalist sentiments in both China and Japan, damaged their relationship and raised questions about China’s willingness to use its growing economic might as a tool in any future territorial conflict. More ominously, far to the north in the Yellow Sea 80 kilometers off the South Korean port of Incheon and within sight of North Korea’s coast, North Korean artillery in November rained down on the South’s sparsely populated Yeonpyong Island, killing four people and sending shock waves around the world. It was one of the worst threats to peace on the peninsula since the Korean War. Here too, the incident took place in an area of continuing dispute about maritime borders — in this case, the so-called Northern Limit Line. Northeast Asia isn’t the only part of the region where maritime security is threatened by territorial disputes, and where miscalculation could lead to conflict. Many Southeast Asian nations are party to disputes among themselves, and often with China, over scattered sandbanks, reefs, islets and islands from the Spratlys to the Paracel. Moreover, these pockets of maritime insecurity have recently become the latest stage for Great Power politics in the region, with the US attempting to drive a wedge between China and ASEAN over China’s territorial claims in the South China Sea. Underscoring the tensions, spending on navies is being boosted, not just by Japan and China, but also by nations across Southeast Asia, which have invested in submarines and naval bases. The risk of a naval arms race cannot be ruled out. As if all this were not enough, Asia is also home to one of the world’s oldest scourges of maritime security — piracy. Especially in Southeast Asia, pirates continue to harass the ships plying the trade routes that help fuel Asia’s economic growth. 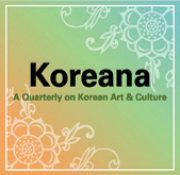 Under the guest editorship of Robert Kaplan, a National Correspondent for the Atlantic Monthly, and Yoichi Funabashi, the Editor-in-Chief of The Asahi Shimbun and an Editorial Board member of Global Asia, our cover stories in this edition look at all of these issues. In addition, among our feature articles we include two pieces that influence maritime security — the leadership succession in North Korea and the pressing need for the US to rethink the nature of its alliances in Asia. We hope you find these and the other articles in this issue valuable. As always, please let us know what you think at editoral@globalasia.org. In the popular imagination, the maritime security of a nation is tied to the size of its navy. But even among specialists in naval affairs, there are sharp differences over how to measure the relative power of navies. The South China Sea: Back to the Future? Although maritime security is an issue in many parts of Asia, the South China Sea poses some of the most vexing challenges in the struggle for hegemony in Asia between China and the US. For a number of countries in the region, China's peaceful rise has run into troubled waters in the East China Sea and the South China Sea. Until armed boatloads of modern-day pirates off the coast of Somalia began grabbing headlines in recent years, talk of piracy was confined mostly to ship crews and owners, their insurers and specialists in maritime security. Could Burma Finally Be Poised for Reform? The November elections were no watershed moment for Burma, and no one should expect reform overnight. THE NOV. 7 ELECTION in Burma and the subsequent release of pro-democracy leader Aung San Suu Kyi have led to wild speculation about the future of this troubled nation. In November, the website WikiLeaks began releasing the first batches of more than 250,000 classified US diplomatic cables, a trove of potentially embarrassing revelations about the conduct of US foreign policy. 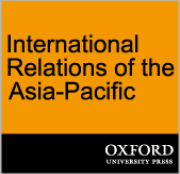 The rise of Asia as an economic and military power in its own right is changing the fundamental power dynamics of the region and the strategic calculations that underpin these alliances. The landmark trade agreement forged by China and Taiwan this year promises to have a profound impact on Taiwan's domestic economy. But that is only its most immediate importance. North Korea's recent shelling of Yeonpyong Island and other provocative acts have turned the spotlight on the complex leadership succession process under way. As Thailand's political crisis continues to simmer following last spring's violent crackdown on anti-government protesters, the foreign media find themselves increasingly caught in the middle. Martin Gainsborough's new book, Vietnam: Rethinking the State, challenges the common view that the past 25 years' economic reform has all been carefully state-planned. A biography of Malaysian writer Syed Hussein Alatas by his daughter Masturah Alatas portrays the struggle to cast off the stereotypes that Western colonizers used to legitimize their rule. Reviewed by Salil Tripathi.